If security is your concern, trust the cloud! Cloud computing is a driving force for businesses today. It enables complex architectures and also makes possible integrating multiple data sources to drive actionable decision making. It brings along unparalleled efficiency, accessibility, scalability thereby opening up umpteen opportunities. Enterprises can leverage seamless integrations offered by cloud service providers between public-private clouds and with third-party SaaS service providers to level up their already powerful cloud implementations. An Enterprise level digital transformation heavily counts on developing, experimenting and iterating at speed with hybrid cloud infrastructure which is flexible, robust and secure. Such cloud implementations blend with different environments and allow unlocking of the potential of existing applications and data. As per the white paper published by IDC in September 2016, 48% enterprises see security concerns as the most prominent hurdle in cloud deployment. Integration of apps and data increases the vulnerability of the entire ecosystem multifold. The recent incidents of Ransomware and other security breaches across the most prominent and most celebrated organisations haven’t helped the sentiment either. Existing security measures are proving to be insufficient in ensuring the sanctity of the IT infrastructure. As per the report released by Crowd Research Partners on cloud security, 78% cybersecurity professionals feel traditional security solutions fail to work altogether, or they have a constrained functionality in the cloud environment. The security threats have evolved with the time and aren’t as predictable as they were in the past. Advanced malware and unforeseen system vulnerabilities have added an additional level of uncertainty to the entire ecosystem. With BYOD becoming more prevalent at workplaces, nature of threats isn’t always external these days. 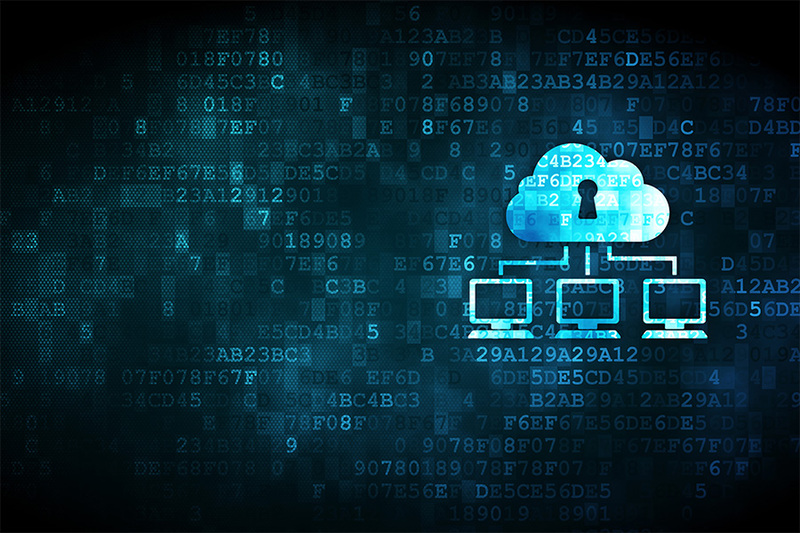 Unauthorised access by way of misusing employee credentials remains one of the top-most concerns to the cloud security. With more distributed and complex technologies like IoT and Blockchain replacing the legacy ones, security becomes all the more paramount in these unchartered territories. These technologies are still in their nascent stages for enterprise implementations and are vulnerable to unforeseen attacks. The recent IoT based malware—Mirai botnet—affected home users and ISPs across countries. It turned networked devices like routers and cameras into DDoS attack bots. It proved even the most advanced botnet defence systems ineffective as the scale of the attack was well above the threshold level. According to Norton Cyber Security Insights report, Indians are increasingly becoming aware of cyber threats, but still, they frequently fall victim to cyber-attacks due to complacency. The modus operandi used by hackers today to intrude into an IT infrastructure includes exceptionally hard-to-detect phishing and cloaking attacks to imitate trusted sources very closely. Clicking on untrustworthy links and responding to emails from unknown sources are the most prominent reasons users fall prey to such attacks. Along with these known vulnerabilities, organisations are grappling with sophisticated threats and are seeing over 2 lakh security events every day. Level of sophistication and scale of attacks are making it increasingly difficult for the security teams to analyse all security events on a daily basis. Human intervention has proven to be insufficient on multiple fronts to detect, monitor, and tackle advanced vulnerabilities. Under such circumstances, promising and futuristic technologies come to rescue. Cognitive solutions help overcome limitations of the human taskforces and enable them to ensure the system sanctity. By using the advanced pattern recognition, security protocols and staying abreast with all the latest happenings in the digital world, these systems can avert even the most sophisticated network attacks. Cognitive systems learn from the developments within and outside the network on the fly and move beyond the traditional pattern matching detection. Also, the vast processing power enables them to identify and monitor patterns which even the sharpest human security experts may fail to recognise. Since cloud computing involves the interaction of multiple systems on a real-time basis; traditional security suites are less effective in ensuring cloud security, given the scale and complexity of operations. Thus, cognitive systems have become an indispensable part of enterprise security suite today as they bring along a whole host of functionalities. Such systems ensure better readiness in dealing with malicious intrusion attempts. QRadar, powered by IBM Watson on cloud, can sift through volumes of data generated globally and monitor systems for slightest variations. It can intelligently understand, reason and learn about security threats better than a human. Because of its cognitive capabilities, QRadar can analyse not just structured but ‘dark and unstructured data’, augmenting the ability of security analysts to fill gaps in intelligence, speed and accuracy. Enterprises are creating, obtaining and processing humongous data and cloud computing is forming a positive feedback loop. This has made analysing security threats a superhuman job. Under such circumstances, a system like IBM Cognitive SOC with superhuman capabilities can assist security teams in dealing with unprecedented risks in the best possible manner. Intelligence, speed and accuracy are critical requirements of any IT implementation today. In the recent times, Bombay Stock Exchange (BSE), one of the oldest stock exchanges in the world, recently partnered with IBM Security to build and manage a Security Operations Center (SOC) to consolidate all the best security practices under a single roof. This implementation will ensure proactive threat monitoring, detection of suspicious activities, protection against emerging threats while maintaining resiliency of the system. A proactive system that is super-fast has cognitive abilities and is supported by the best in the class team is a must to ensure the stability of system and peace of mind. In such cases Watson hosted on IBM cloud can be the ideal partner in identifying and resolving issues pertaining to cloud security.